GVIDO MUSIC Co., Ltd. (Shinagawa, Tokyo; Fujio Noguchi, Representative Director and President), a group company of Warehouse TERRADA (Shinagawa-ku, Tokyo; Yoshihisa Nakano, Representative Director and CEO), will exhibit its products at the booth of the VAIO Corporation (Azumino-shi, Nagano; Hidetoshi Yoshida, President) at the first China International Import Expo to be held in Shanghai from November 5 (Mon) to 10 (Sat) (Booth No. 5. 1B5-02). The China International Import Expo is set to attract companies from more than 100 countries and regions around the world to the world’s second largest economy and massive consumer market. As the music education market in China expands rapidly on a world scale, GVIDO MUSIC has been receiving an increasing number of inquiries about GVIDO from China, reflecting growing interest in the digital music score device. 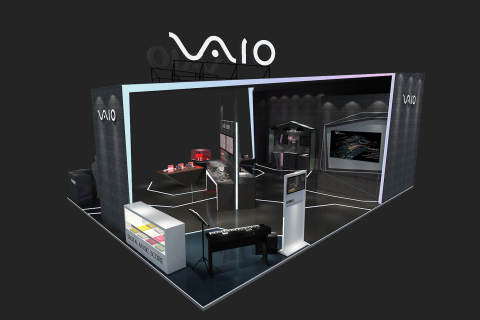 VAIO, which is responsible for the design and manufacture of GVIDO, will share this opportunity to showcase the device at this debut expo. Sales of GVIDO are currently growing in Japan, North America, and Europe, and GVIDO MUSIC plans to launch its products in the Chinese market from mid-2019. See the following link for details about the China International Import Expo. Sales of the dual-screen e-paper music score device GVIDO commenced in Japan in October 2017 and have since expanded to North America and Europe. In addition to functional features such as its light weight and ease in viewing music scores, the design has also been highly praised. In April 2018, GVIDO received the Red Dot Design Award, a highly coveted German design recognized worldwide, and in October 2018 was selected as one of Japan's Good Design Awards Best 100.